Plushies and chocolates are cute, but how about something totally magical this Valentine’s Day! 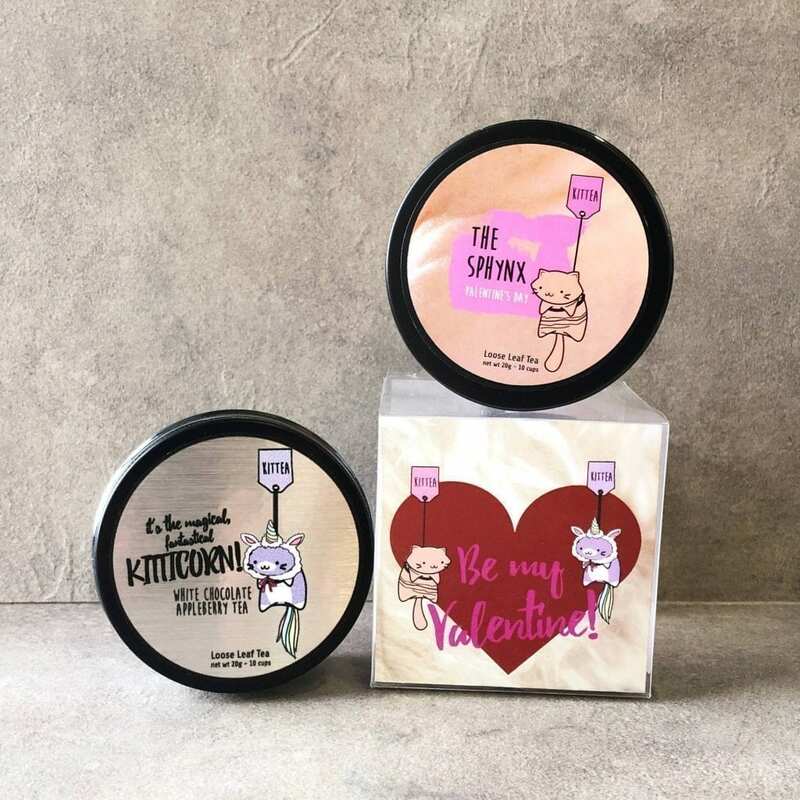 We’ve paired our affectionate Sphynx with the enchanting Kitticorn in a special 2-Tins Gift Cube purrfect for gifting a loved one. Each tin brews approximately 10 cups of tea. Fall head over heels with the highly affectionate Sphynx. 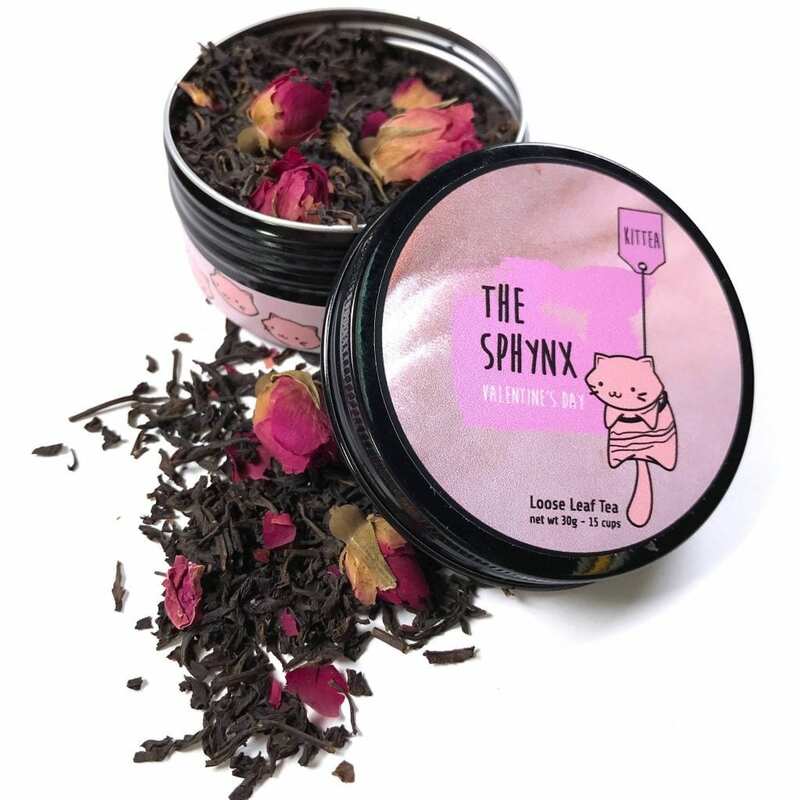 He may not be the best looker, but his fragrant blend of Ceylon black tea sprinkled with rose petals, pink heath flowers and French rosebuds is one to sweep you off your feet. 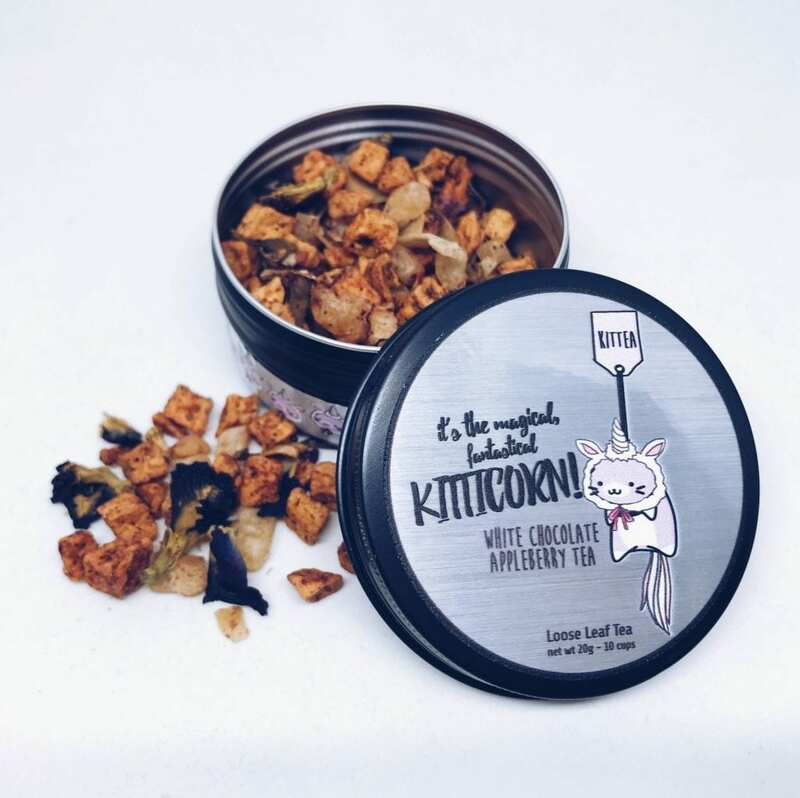 Go on a magical journey with a tea blend of white chocolate-dipped pineapples, apples and raspberries, all packaged in a special silver foiled tea tin! Brew in hot water and watch the tea turn a rich purple-blue hue.